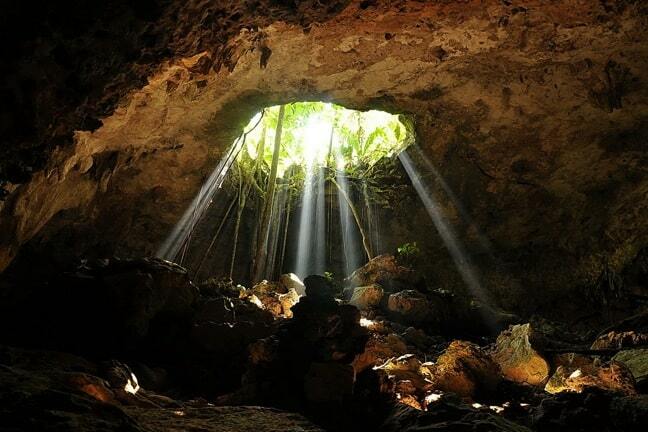 Caves held a strange, primal allure for me long before we visited Rio Secreto. From reading about Tom Sawyer’s adventures in Mark Twain’s classic novel to watching movies such as The Goonies and the original Indiana Jones trilogy, I’ve always associated caves with adventure, exploration, and intrigue. We’ve been fortunate to visit caves all around the world on our travels, from southeastern U.S. sites such as Ruby Falls and Craighead Caverns to the ancient cliffs of Petra and the Milodon Caves of Patagonia. No matter where we go, whenever we venture into the earth it always makes me feel like I’m part animal, part astronaut, exploring mysterious places both ancient and unknown. But never has this mixture of fascination and trepidation been more acute than it was during our tour of Rio Secreto, an incredible underground nature reserve in Mexico’s Yucatan Peninsula. 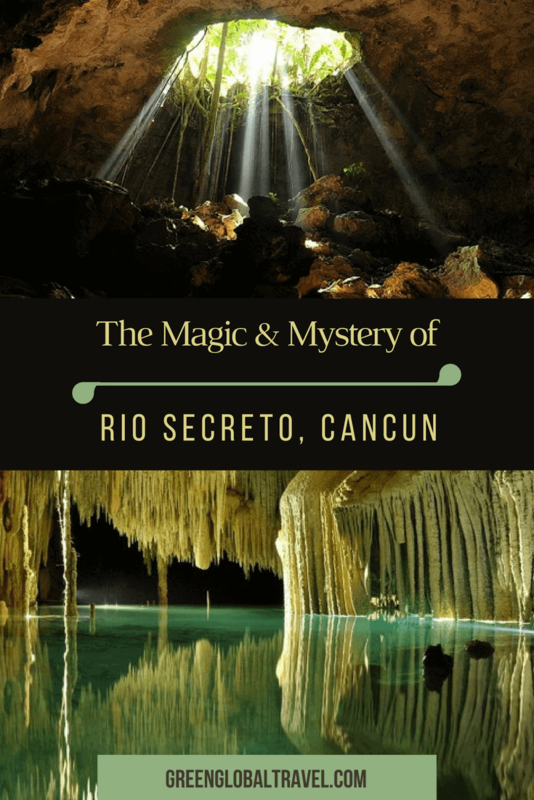 Located in the Riviera Maya, a little over an hour south of Cancun near the town of Playa del Carmen, Rio Secreto is a extensive system of caves and cenotes carved out over the course of several centuries by an underground river. Stretching approximately eight miles, with 15 natural outlets, it’s the longest partially flooded cave in the region. 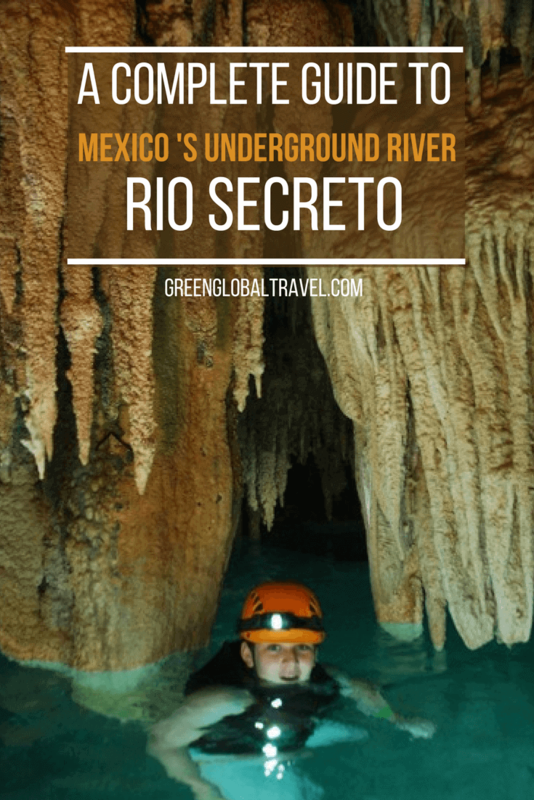 But what makes Rio Secreto truly unique is the fact that it’s semi-sunken, which means that guests can actually hike or float through most of it. After two visits– one with my daughter back in 2013 and one with Mary during TBEX Cancun in 2014– it’s become one of our favorite ecotourism attractions in the Riviera Maya. Originally known as Pool Tunich, Rio Secreto was discovered in 2004 by local land-owner Don Cleofás Pool. He was hunting an Iguana and chased it into a hole in the ground. This led him to an incredible interconnected cave system and underground river, with stunning rock formations dating back an estimated 2.5 million years. 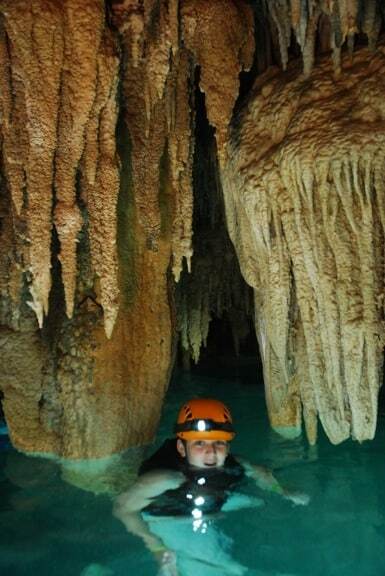 According to Director of Operations Otto von Bertrab, expert exploration of Rio Secreto lasted from December 2006 to September 2007. Led by Don Cleofás, the team worked to define the routes of the underground river and the connection between them. Project leaders also met with the people who owned the communal farmland in order to establish a sound conservation plan. During this period, the team was able to map out the underground river system’s first 3.15 miles in length and 69 feet in depth, in which more than a dozen entrances and natural skylights were identified. 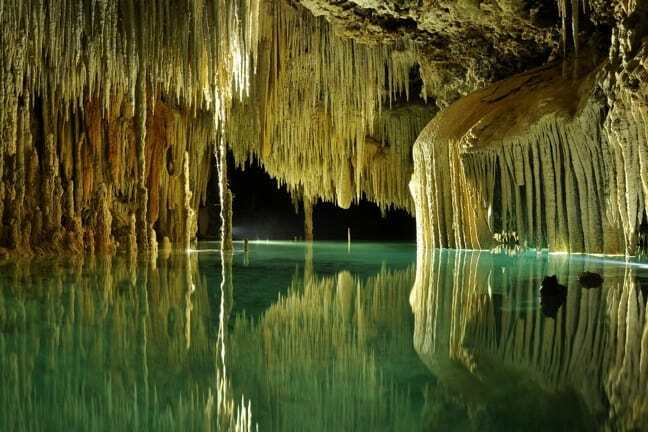 Places such as Rio Secreto were widely believed to be sacred connections to the underworld. Sacrifices were often made in and around them to appease the gods. At least two altars were found inside the underground river system. Unfortunately, there were signs that these ancient Mayan sites had already been desecrated, and the idols that were normally left on these altars had been removed. Other rock formations found in the area included small dwelling spaces and a narrowed-passageway trap system historians believe were used to catch animals such as the rabbit-like rodent known as the Agouti. There has been considerable archaeological evidence suggesting that the ancient Mayans had a variety of rites and rituals associated with important cenotes (natural sinkholes) and caves. Decorations known as caritas (“little faces”) can be found drawn on cave walls, including one of the entrances to the underground river. You can also find small piles of rocks at cave entrances, which are believed to be small “adoratories,” or temples of veneration. One of the most impressive finds Don Cleofás made during his initial descent into Rio Secreto was a vessel believed to date back to the post-Classic period of Mayan history (1000-1697 AD). The vessel was virtually invisible, tucked away inside one of the orifices of the entrance column, close to a natural skylight opening. Archaeologists think it was used for collecting water, and the way it was positioned led them to believe it had been carried along on the river’s current to its hiding place. The find was reported to the Mexican National Institute of Anthropology and History, and is said to be the best preserved relic from that era ever discovered. Today Rio Secreto offers a variety of different eco-tours through approximately 10% of the nature reserve. Through their foundation, Centinelas del Agua A.C (Water Sentinels), tourism revenue funds the conservation of the other 90% as well as environmental education programs. The attraction is managed with a sharp eye on sustainability. Tour groups are limited to a maximum of 10 people: On my last visit there were only six of us, so we felt like we had the entire place to ourselves. They also take different groups to different parts of the underground river system, in order to minimize the impact on any one given area. 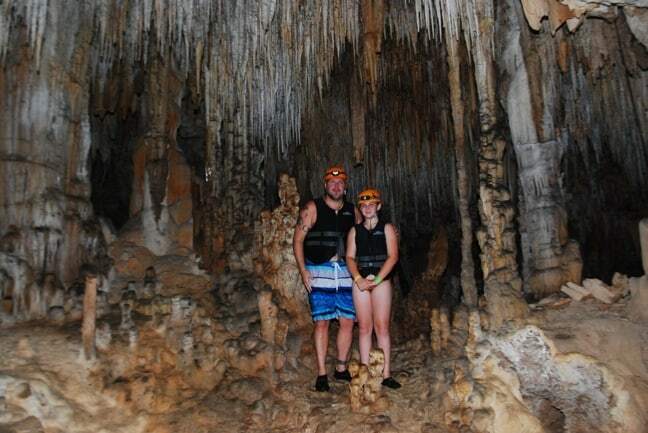 Everyone is required to shower before entering the cenotes in order to remove any bug spray or sunscreen on their body, and there are no personal cameras or jewelry allowed in order to protect the water quality. The naturalist guides are great about explaining why it’s important to protect this incredible natural wonder, emphasizing conservation and sustainability often. Setting off on a short hike through dense tropical jungle, we began our exploration of Rio Secreto with a blessing of protection from a Mayan shaman. The guides explained how important these cenotes were to the ancient Mayans, both as a source of potable water and as a sacred spiritual place. Numerous expeditions in the Yucatan Peninsula over the past decade have uncovered objects and human skeletons dating back more than 13,000 years, which were believed to have been sacrificed to appease the rain god, Chaac. Understanding this ancient history and mythology definitely lent an air of magical mysticism to the moment as we all switched on our headlamps and descended the stairs into darkness. We gradually made our way down gentle slopes of slick stone, ducking through narrow passageways, until we were around 100 feet below the surface. It took our vision some time to adjust to the low light inside the caves. But the “Oohs!” and “Aahs!” began almost the moment we laid eyes on what seemed to be millions of stalactites and stalagmites. They seemed almost like fingertips stretching from ceiling to floor (and vice versa) in a desperate attempt to connect. Stalactites are formed in limestone caves when the calcium carbonate contained within the rock is dissolved by water containing carbon dioxide. As this calcium bicarbonate solution drips down and comes into contact with the air, the chemical reaction is reversed and creates a calcium carbonate deposit, which grows at an average rate of .13 mm to 3 mm per year. Stalactites can have different shapes, from thin, hollow tubes known as “soda straws” to more familiar cone shapes. When the mineral-laden water drips down from the cave ceiling, it deposits calcite on the floor below, eventually resulting in a thicker rounded or cone-shaped stalagmite. Over time– thousands of years– these formations grow towards each other, meet and fuse to create giant columns of calcium carbonate. Though the process may be slower than a snail crawling uphill through a winter’s frost, the visual impact of being in a cave full of these geological wonders is immediate. As we descended further into the cave system, the air grew cooler, the light grew darker, and my glasses fogged up so badly I had to remove them. We went from wading in shallow streams to swimming in waters that glowed a brilliant blue as we shined our headlamps upon them. The water was clear and cold (or, as we winkingly call it, “refreshing”), and we were amazed to see tiny catfish swimming below. Occasionally we’d have to work our way through narrow gaps between stalactites, which is easier said than done when you’re 6’2″ and built like a linebacker. Eventually we emerged into an expansive cavern, with crystal blue waters surrounded by an astounding array of geological formations. It felt remarkably surreal, almost as if we were characters in an adventure novel of our own. My favorite moment came when we swam out to the middle of the cenote. Our guide, Daniel, asked us all to use our lifejackets to float, turn off our headlamps, and LISTEN. Even with your eyes open, it was absolutely pitch black. You couldn’t even see your hand waving in front of your face. But, denied our sense of sight, all of our other senses gradually came alive. You could smell the earthen moistness within the cave. You could feel the striking contrast between the humid air on your face and the chilly water on your body. 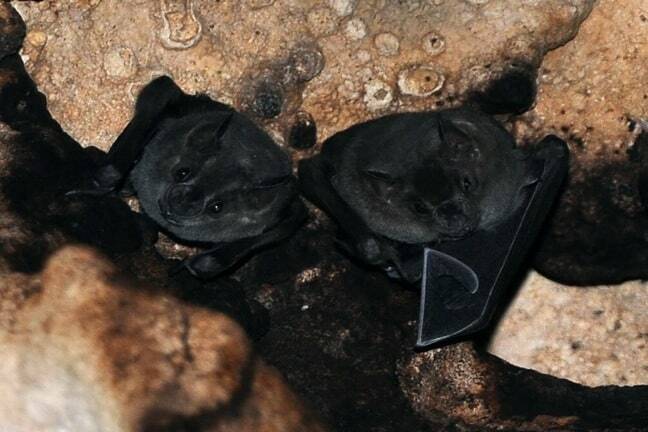 You could hear the sounds of water dripping from stalactites, and of bats squeaking somewhere in the distance. The serenity was almost overwhelming, and I didn’t want it to end. Of course, eventually we had to make our way out of the caves. There was a weird mixture of regret and relief when we got our first glimpse of sun streaming through the skylight of our exit, emerging back into the hot, humid glare of the late afternoon. We were mostly silent on the 10-minute walk back to camp. After changing clothes and wolfing down some typical Mayan food at the buffet (which is included in the cost of your ticket), we climbed into the van for the 2-hour ride back to Cancun. Afterwards, I couldn’t get Rio Secreto out of my head, remembering the cool air, the darkness, the alien, almost otherworldly landscapes. I’m nearly 50 years old now– no longer a boy reading The Adventures of Tom Sawyer and dreaming of the day when I will be able to have adventures of my own. But I still have a child-like sense of wonder every time one of those childhood dreams finally comes true, because the reality is so much cooler than the fantasy could ever hope to be. All tours include access to the Nature Reserve, a naturalist guide, helmet with lamp, life jacket, lockers, towels, wetsuit, and a delicious buffet of typical local cuisine (including non-alcoholic drinks). With round trip transportation from Cancún: Adults: $109.00 US / Children ages 4 to 12: $54.50 USD (4 to 12 years old). Transportation not included: Monday through Sunday at 9:00, 10:00, 11:00, 12:00, and 13:00. 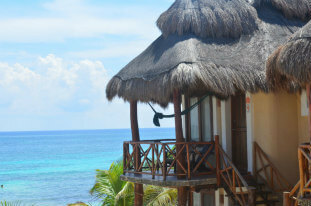 With round trip transportation from Riviera Maya: Monday through Sunday at 9:00 and 13:00. 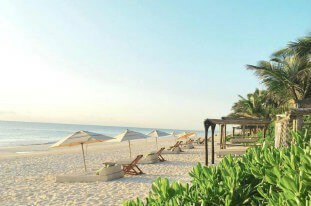 With round trip transportation from Cancún: Tuesday, Thursday, and Saturday at 9:00. Includes the basic tour plus a visit to the tranquil Salón de la Paz (“Room of Peace”), an expansive cavern with seating. This transportive multi-media experience explains the creation and evolution of the Universe from the Mayan perspective. It includes an impressive light and sound show projected on the cavern’s natural rock formations. Not recommended for children under age seven. Transportation not included: Monday through Saturday at 9:00. 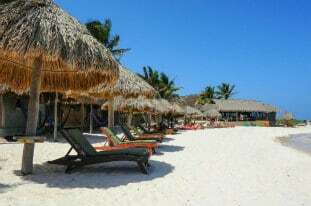 With round trip transportation from Riviera Maya: Monday through Saturday at 9:00. With round trip transportation from Cancún: Monday through Friday at 9:00. This private tour for one to four people is customized to suit your party’s schedule, interests, and degree of difficulty. 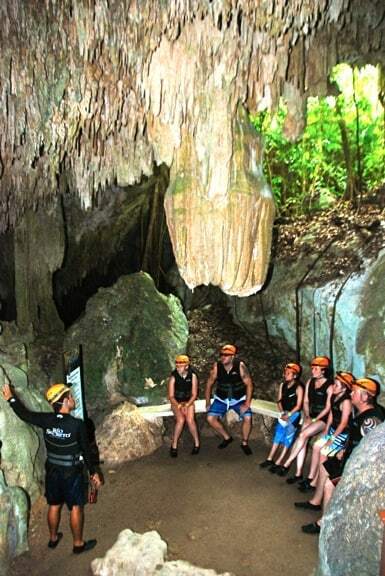 It allows the group to explore multiple sections of the underground river system, and includes a private guide, personal photographer, mask and snorkel, and beverages and snacks provided during the tour. PRICES: $389.00 US (1 person) / $289.00 US (2-4 people). 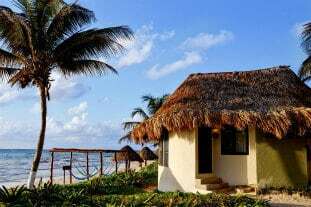 All of the beachfront eco-lodges and eco-friendly hotels listed below are located in Tulum, about an hour from Rio Secreto. 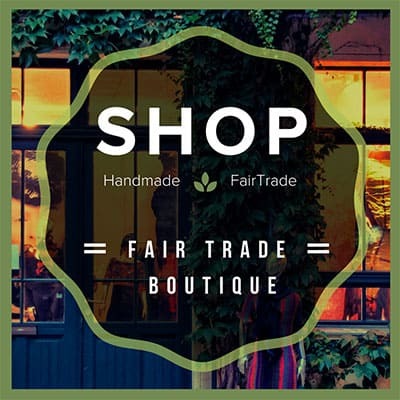 Disclaimer: Green Global Travel uses affiliate links within our articles (no additional cost to you). Our tour to Rio Secreto was sponsored in part by Visit Mexico. But our opinions remain our own, and we will never compromise the integrity of our obligation to our readers.